Several years ago, while renting an apartment in Brooklyn, my family and I experienced chronic flooding in our basement that brought outside sewage into our home. 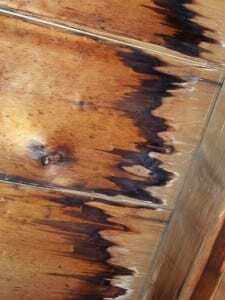 But our attempts to clean up and restore the damage were not deep enough — soon, with a musty smell pervading, we realized we had another problem on our hands. A mold problem. While DryEase is rated #1 in mold remediation services, DryEase also provides water damage repair. A building that experiences floods or leaks becomes a vulnerability; not only does water damage negatively affect both the cosmetic appearance and structural integrity of the building, if the damage is left alone without proper recourse then rot may set in — after all, many building materials are organic and susceptible to decay, especially if compromised. And we know that excessive water or humidification can easily lead to a mold infestation. Rehabilitation and prevent are key to preventing further complications. This is where DryEase comes in. Not only are we here to removal your mold, but we are here to prevent mold from becoming a problem. Prevention not only saves you valuable time and money, but equips you with the knowledge and know-how to save your investments. DryEase is exceptional in one part because we provide Emergency Water Restoration. This is crucial, because where water damage is concerned, time is of the essence. Water damage is progressive; there is a window of time where the damage can be restored, but any delay in response endangers this. Consider that water may wick up the walls or travel along molding, penetrating through floor coverings and into the subflooring. A common scenario we see at DryEase is a leak from an upstairs bathroom infiltrating the room below, whether that is the child’s playroom or a closet full of valuables. This means that renting a shop vacuum or contracting a company to merely dry out the carpet, may not be enough to fully dry the area. 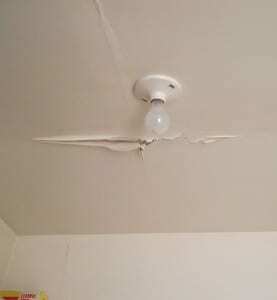 Can water damage be repaired? Yes! DryEase offers a full-service water cleanup and remediation that goes above and beyond to protect you and your home.